The comment from Ryan, who announced last week he was running for president, came during an interview with CNN’s Poppy Harlow and Alisyn Camerota on “New Day” in which Harlow asked him about an August 2018 Gallup poll that found that 57% of surveyed Democrats view socialism positively, while 47% viewed capitalism positively. “I’m concerned about it. 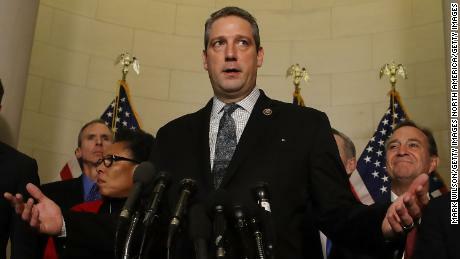 Because if we are going to de-carbonize the American economy, it’s not going to be some centralized bureaucracy in Washington, DC, that’s going to make it happen,” Ryan, who represents Ohio, said. “It’s going to be part targeted government investments that do need to be robust. But it’s going to be the free market that’s going — at the end of the day — is going to make that happen. Ryan’s comments come as the Democratic Party is openly grappling with its relationship with socialism as influential members of the party — like New York Rep. Alexandria Ocasio-Cortez and Sen. Bernie Sanders, a Vermont independent and 2020 presidential hopeful, both of whom identify as Democratic Socialists — embrace policies Republicans are looking to paint as socialist in the run-up to the 2020 election. One such policy, Medicare for All, is supported by Ryan. Meanwhile, House Speaker Nancy Pelosi, who represents California, declared in an interview with CBS that socialism “is not the view” of the Democratic Party.